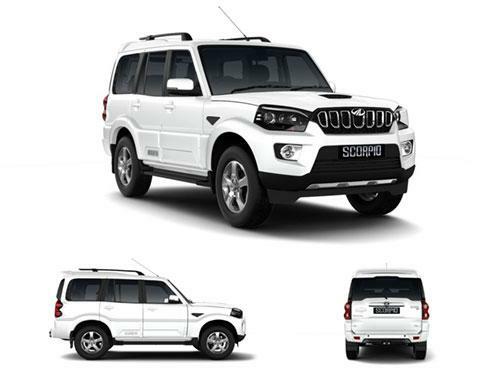 Mahindra Scorpio is an amazing looking SUV that encompasses safety, comfort and power. 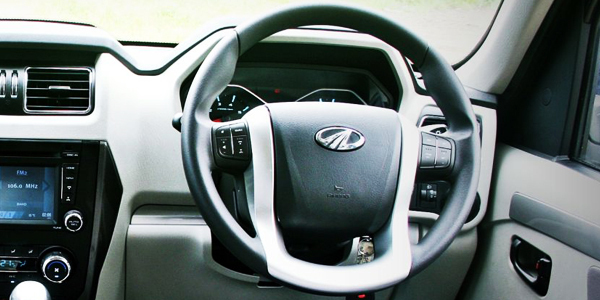 It houses a multi functional steering wheel for the convenience of the driver. The steering wheel is leather covered and features height adjustment and tilt function so that people of different height can easily use it without any problem. The steering wheel of this SUV also has audio control and cruise control buttons mounted on it. These buttons allow the driver to not only change the music track or increase or decrease the volume, but also allow the car to travel at a uniform speed regardless of the road condition thanks to the cruise control button. Amongst the main competitors of Mahindra Scorpio in the Indian market only, Mahindra XUV500 comes with multi functional steering wheel. Others like TATA Safari, Mahindra Xylo and Renault Duster features only height adjustable and tilt featuring steering wheel only. The variants of Mahindra Scorpio that offer steering mounted controls as standard include 2WD Getaway, 4WD Getaway, S11 2WD, S11 4WD. The variants of Mahindra Scorpio that do not offer steering mounted controls as standard include S3 2WD, S5 2WD, S7 120 2WD, S7 140 2WD, S9 2WD.